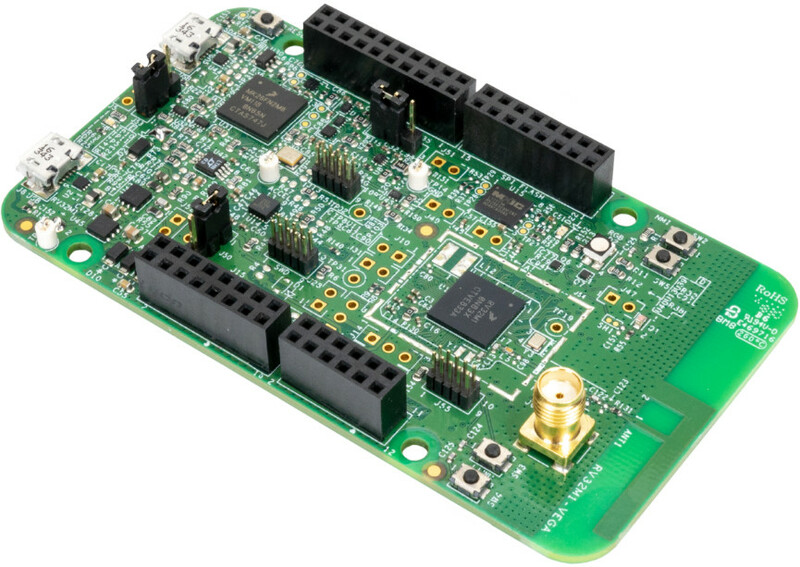 OpenISA has launched an Arduino compatible RISC-V development called VEGAboard that features RV32M1 wireless microcontroller with a RISC-V RI5CY core, a RISC-V ZERO-RISCY core as well as Arm Cortex-M4F and Cortex-M0 cores, and a radio operating in the 2.36 GHz to 2.48 GHz range. An external NXP Kinetis K26 Arm Cortex-M4 MCU is added to the board for OpenSDA (Open-Standard Serial and Debug Adapter) debugging over a single USB cable. The board was offered for free, I’m just not sure when, but they are already out of stock. Hopefully, they’ll start selling the board soon enough. 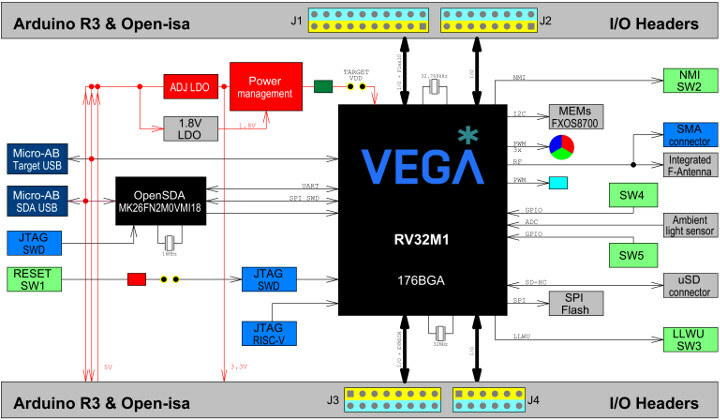 There’s no clear explanation that I could find for the presence of Arm cores inside RV32M1 WiSoC, but maybe it’s just to have a single platform to evaluate Arm and RISC-V core since RV32M1 block diagram shows the Arm Cortex-M0+ and ZERO-RISCY cores in the same block, and the same is true for Cortex-M4F and RI5CY cores. You can download documentation, Windows/Linux/Mac OS SDK, and toolchains in the Download page, or get everything from release 1.0.0 on Github.